Bob Filner's Out. Who Will Replace Him As Mayor in San Diego? San Diego's politicians aren't wasting any time when it comes to figuring out who the city's next mayor is going to be. 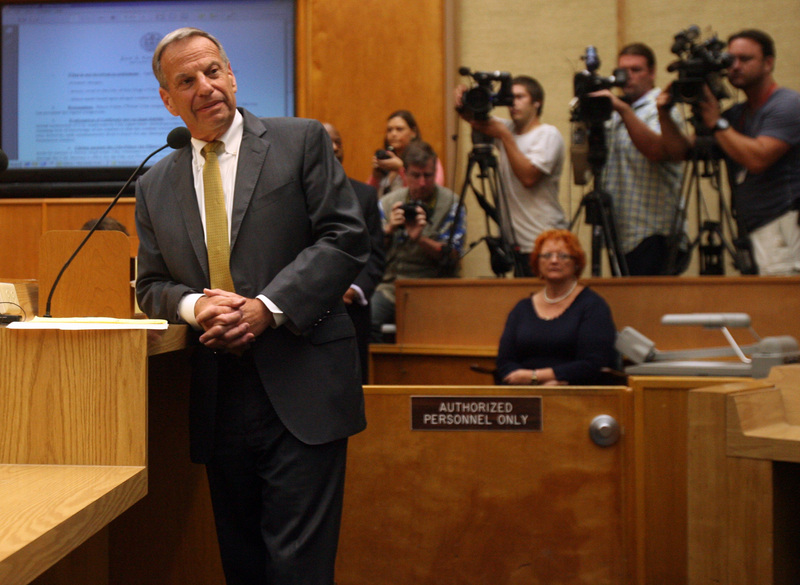 Disgraced Mayor Bob Filner signed an agreement to resign on August 30. It's the latest development in a continuing saga that included a string of sexual harassment claims — including Filner putting the moves on a great-grandma. The soon-to-be ex mayor used his resignation speech to blame essentially everyone for his downfall. At the beginning of his speech Filner seemed to acknowledge his mistakes saying, "my own personal failures were responsible," but then went on to blame the media and city politicians for his demise adding. "There are well-organized interests who have run this city for 50 years who pointed the gun, and the media and their political agents pulled the trigger,” Filner said, not at all dramatically. Filner went on to say that the allegations were unfair and amounted to a "political coup." During the rambling speech he warned San Diego residents that their future was bleak. "The hysteria that has been created is the hysteria of a lynch mob….You have unleashed a monster and I think you’ll be paying for this hysteria for a long time." So what happens next? Well Filner's agreement to cede his seat in return for the council paying his legal fees in his sexual harassment suit means that there's no need for the drawn out petition process. Once Filner is officially done, City Council President Todd Gloria will step in to temporarily fill the seat. After that, San Diego residents must vote in a special election within the next 90 days to determine who the next city leader will be. When it comes to the special election, many names are already floating in the city's political circles. Interim-Mayor Todd Gloria, of course, is reportedly running. And City Councilman Kevin Faulconer, who called for Filner's resignation in no uncertain terms, is also reportedly planning on throwing his hat into the ring. A third potential candidate is current Councilman Carl DeMaio, who initially lost his bid for mayor to Filner and was allegedly romancing a run for Congress. Right now, it looks like the a Democratic candidate, potentially Gloria, would have an edge over his would-be Republican opponents. San Diego is becoming more Democratic, with 40 percent of residents registering with the party (compared with only 27 percent registered Republicans and 27 percent choosing not to declare). Filner will be the fourth San Diego mayor to leave office during the middle of his term, but his problems certainly won't end when he packs his final box. Filner is still facing lawsuits in connection with his inappropriate behavior and is under criminal investigation.